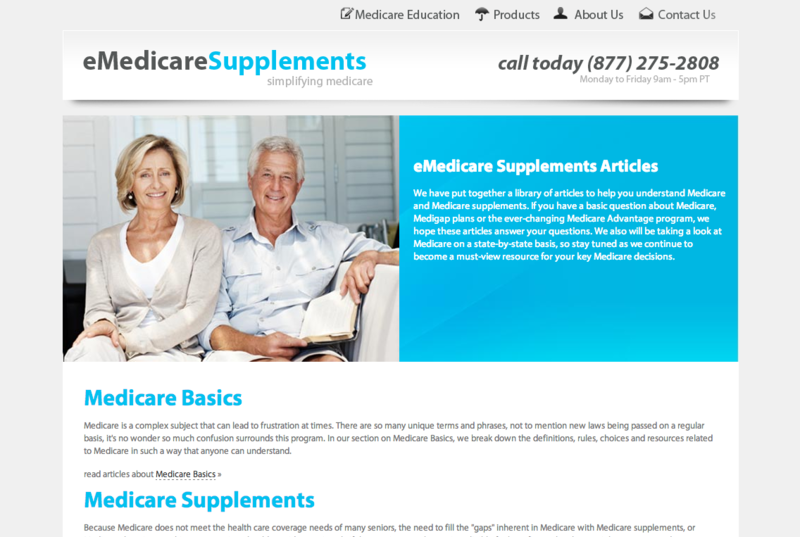 We recently launched a new site called eMedicare Supplements for one of our favorite clients, Berg Andonian. 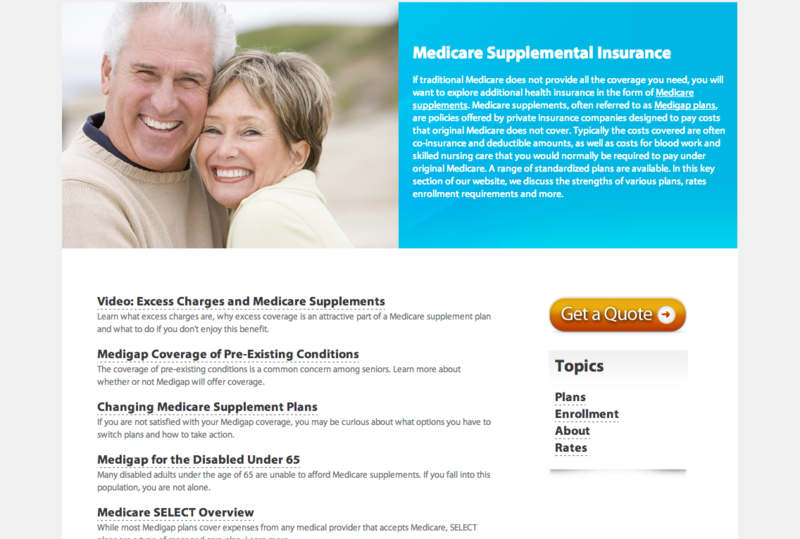 The purpose of the site is to provide Medicare Insurance information and to allow a visitor to easily get a quote for insurance. 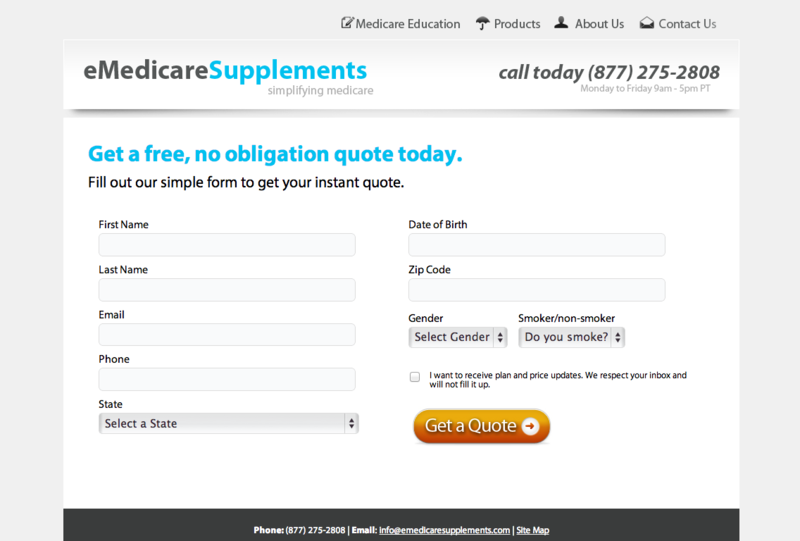 We made the quote call to action simple and easy to see. 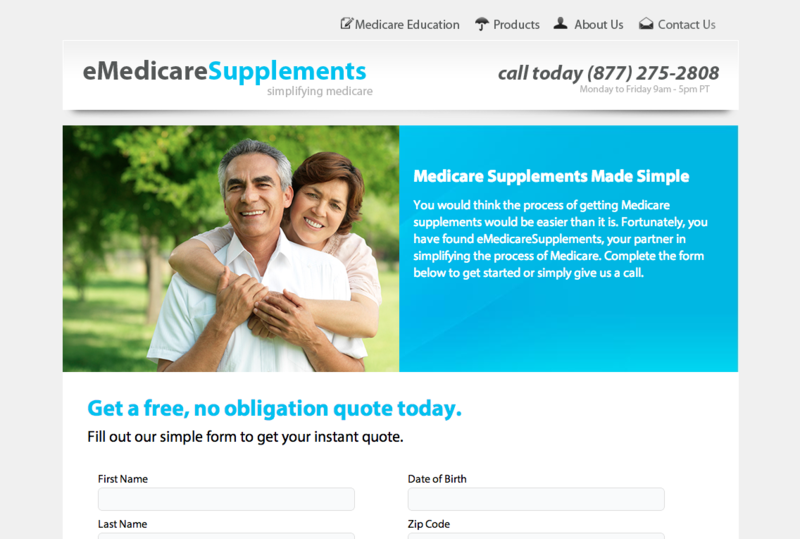 For this project, we used our custom content management system we built in PHP. The reason for this was that the client had very specific search engine optimization requirements and they also needed integration with their contact relationship software. The custom CMS was built to allow many content contributors to easily publish articles.